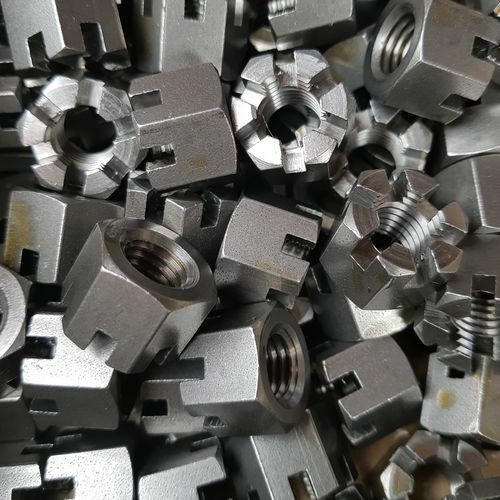 Trojan Special Fasteners Ltd can manufacture all manner of slotted and castle nuts. 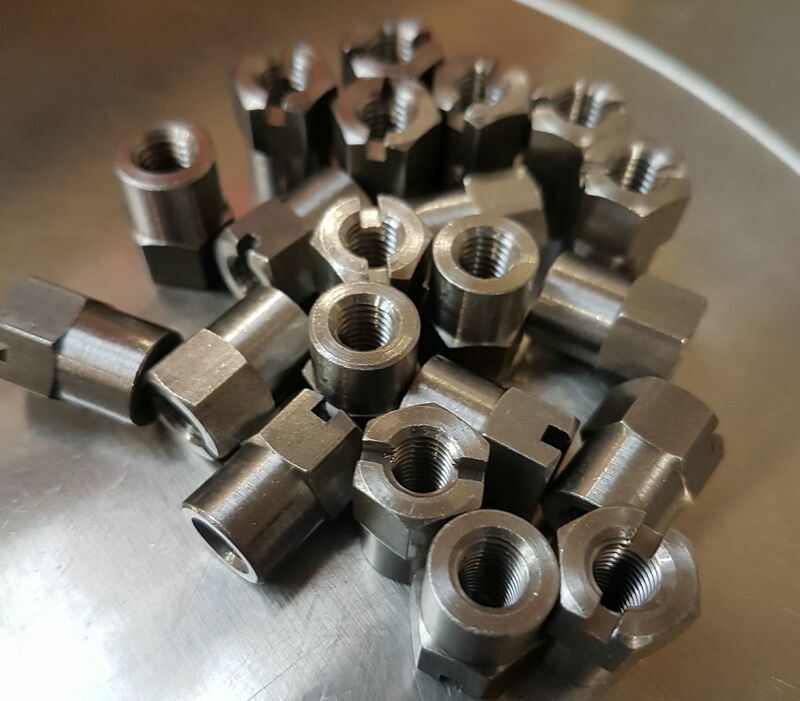 Castle nuts are typically hex nuts with usually 6 slots (60 degrees apart) in a reduced diameter round section above the wrenching part. 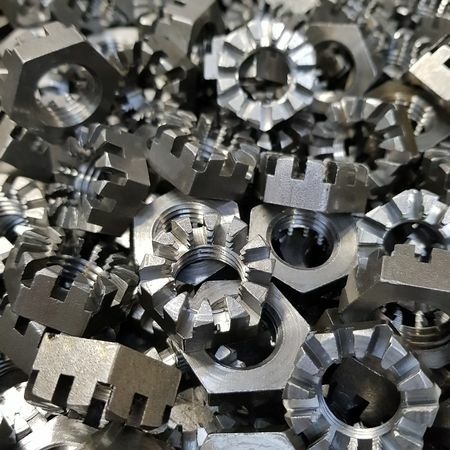 When a castle nut (or any radially slotted nut) is applied to a threaded section, it is assumed that the rod has a hole drilled in it, into which a cotter pin, a lock wire or a spring pin is typically inserted to stop the nut from rotating. 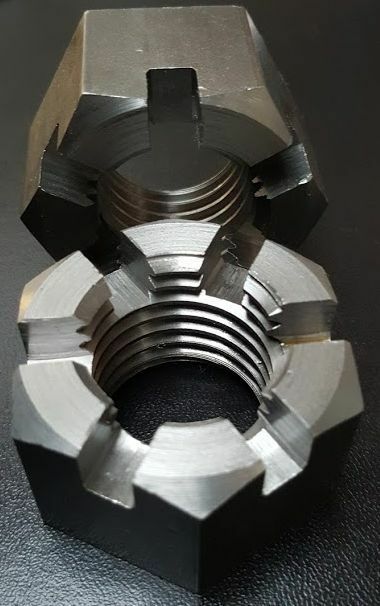 These kind of nuts are unsuitable when a specific preload is required because the torque can't be fine-tuned - a result of rotating a nut to align it with a hole for pin insertion. 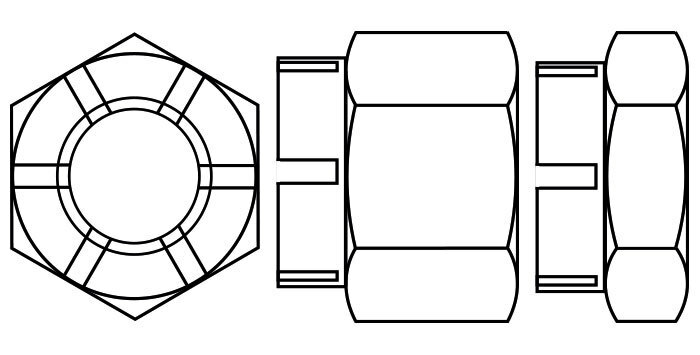 Additionally, such nuts require an additional component and alignment time. 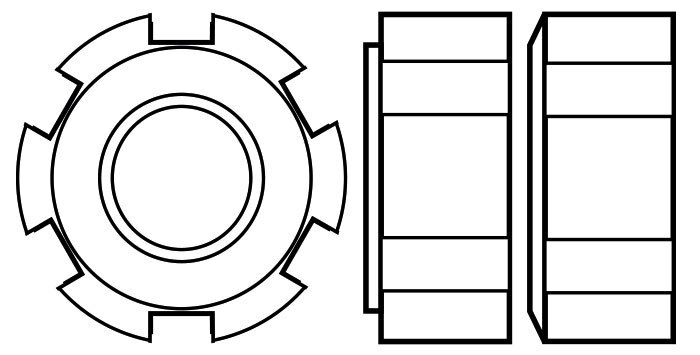 Typically split pins, cotter pins, R clips or safety wires can be used to stop the castle nut from loosening. 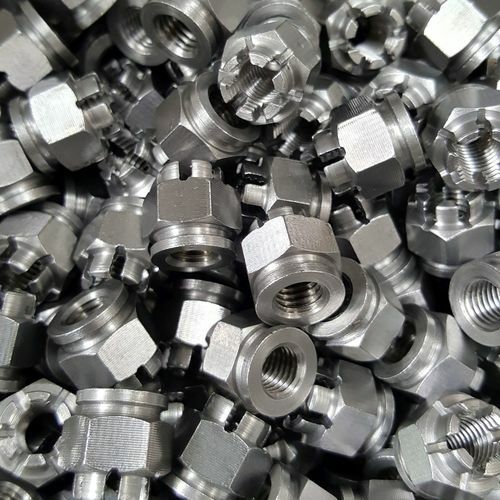 Castellated, slotted and castle nuts are commonly used on axles and are even called axle nuts in some applications. Sometimes they are used on trailers too. 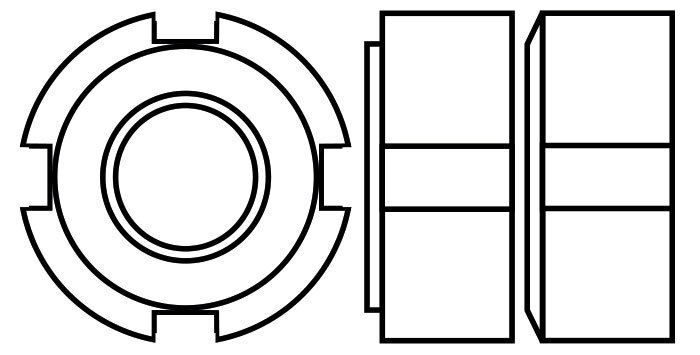 They are also used as hub nuts which hold the driveshaft within the wheel hub assembly. These are also known as roller bearing nuts and are fastened with a hook spanner. They have one washer bearing face and depending upon the size, they can have between 2 to 8 equally spaced external slots. 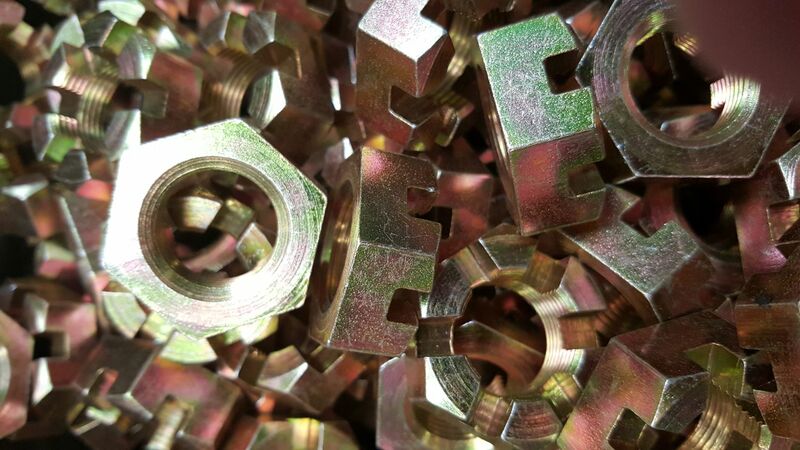 Hook spanners are defined by DIN 1801A standard which give specific internal diameter, hook size and wrenching length, in order to apply the correct amount of torque for nut application and removal. 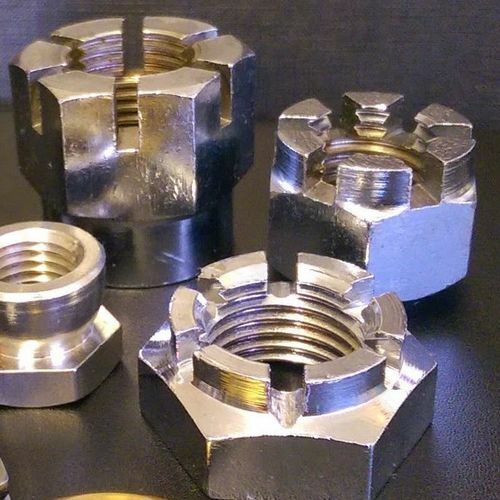 Axially slotted nuts (like those pictured above) are typically used as all metal prevailing torque type nuts, where the axial slots are used to create a section that can deform the thread by pressing the top parts down. 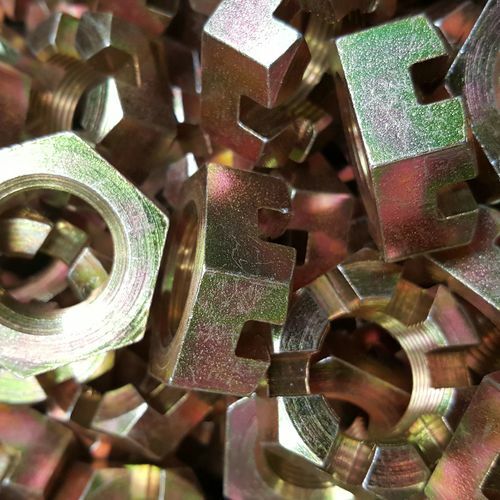 This increases friction between mating threads and thus increases the application and subsequent removal torque of such nuts. 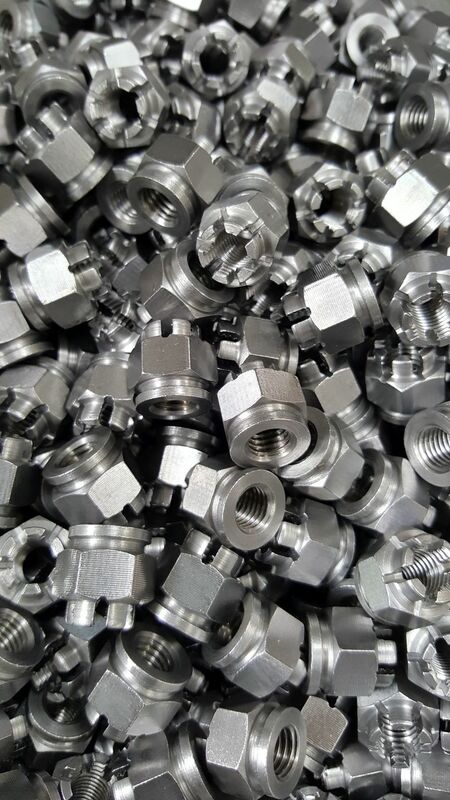 Being all-metal these nuts are not subject to chemical and temperature limitations of their nylon insert counterparts. 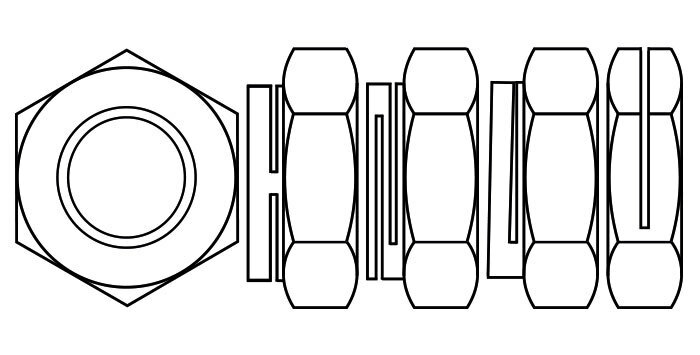 There is frictional interference between the threads of mating components which creates resistance that is called prevailing torque. 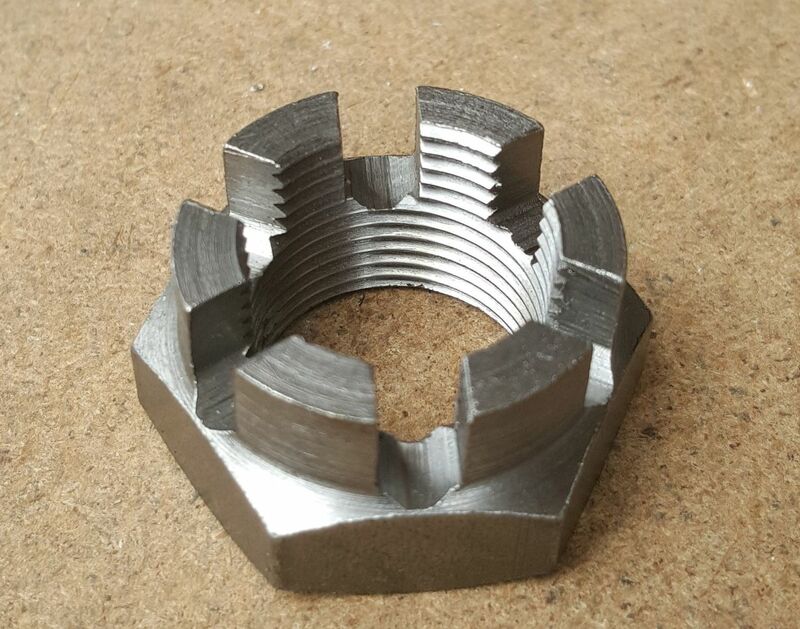 This type of nut can be reused, but only a limited number of times. 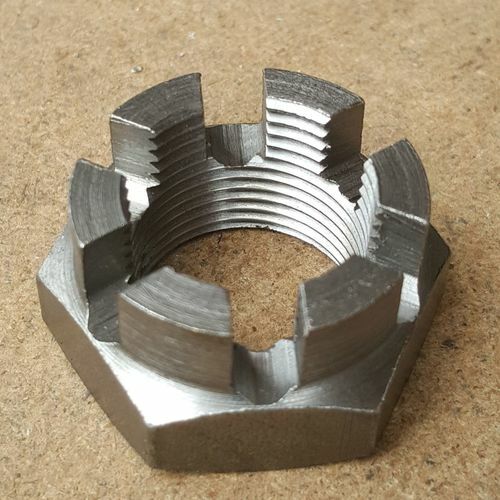 These are very useful in applications where there is a degree of vibration that would loosen regular nuts that have not had their threads locked by another mechanism. 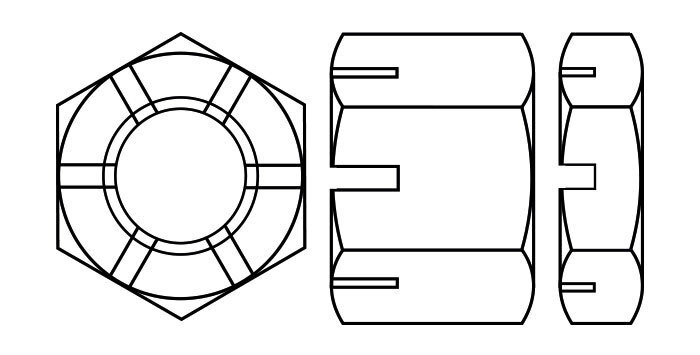 However, this axially slotted type of nut is typically only one-way. 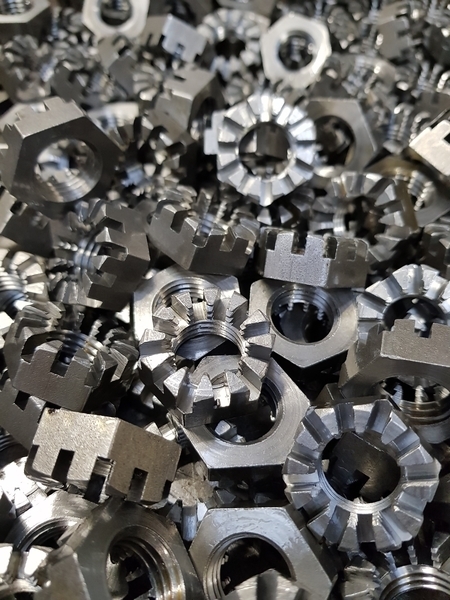 Please note that Trojan Special Fasteners Ltd does not manufacture trademarked fasteners unless by order of the trademark holder. 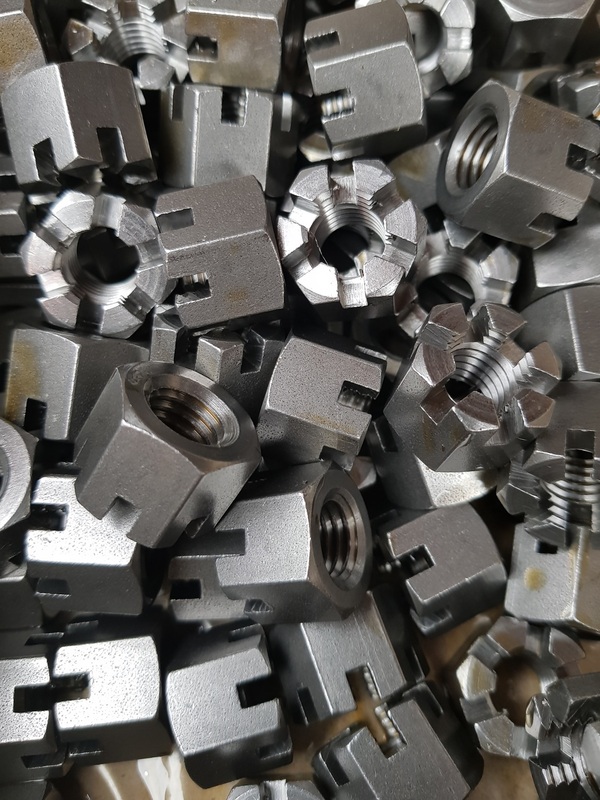 Trojan Special Fasteners can axially slot and deform nuts to provide a prevailing torque feature on your nuts - as no open standard for these exists we would ask that you provide your dimensions or a drawing and we can manufacture to that. 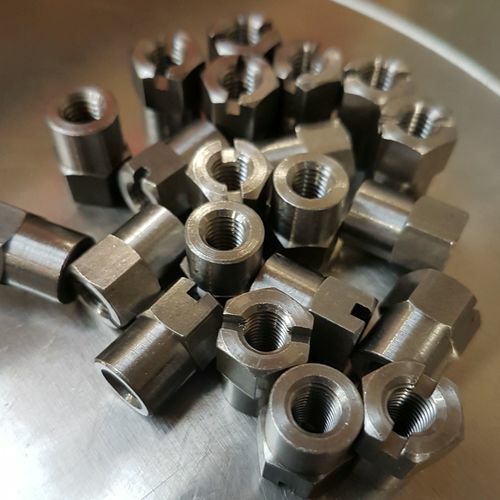 Additionally, we can torque test most of your nuts for you, just provide us with the female threaded part and we'll take care of the rest!